On this day in 1992, notorious serial killer Jeffrey Dahmer was sent to jail for his numerous crimes. Dahmer has provided inspiration for countless cinematic murderers over the years, but perhaps most interesting are the films in which the man himself is a character. One particularly memorable, if melodramatic, interpretation of Dahmer's life that I have seen would be 2006's Raising Jeffrey Dahmer. It looks at the scenario through the eyes of his worried parents. If you're in for something a little more light-hearted and, frankly, stupid, look no further than Dahmer vs. Gacy from 2010. In it, Jeffrey comes back from the dead for an epic showdown with infamous real-life killer clown, John Wayne Gacy. Oh, and there's a hillbilly who's, like, hunting them or something. I don't know, it was bad. Just watch it. Today is also the day on which, in 2008, Kosovo seceded from Serbia. If you need a reason to want nothing to do with Serbia, just look up the overrated and aptly titled A Serbian Film. It follows the journey of a jaded actor who must make sacrifices for the sake of his artform. We'll just leave it at that. 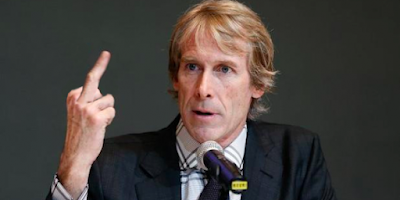 The birthday boy for this February 17th is Michael Bay, founded of Platinum Dunes and producer of the often reviled remakes of what once was the House of Horror trio - Texas Chainsaw Massacre, Friday the 13th and A Nightmare on Elm Street. I personally hated his version of TCM and I found Nightmare to be dull and awkward, I'm of the fairly unpopular opinion that the 2009 version of Friday the 13th was a pretty fun romp. Of course, it's a poor substitute for the original, but I don't think that's really the point of remakes. But then again, it's Michael Bay we're talking about, so the point is money anyway. Oh, right... it's also National Champion Crab Races Day. Maybe check out Attack of the Crab Monsters, which celebrated its 60th anniversary exactly one week ago. If nothing else, it'll get you in the mood for Crab-Stuffed Flounder Day tomorrow.